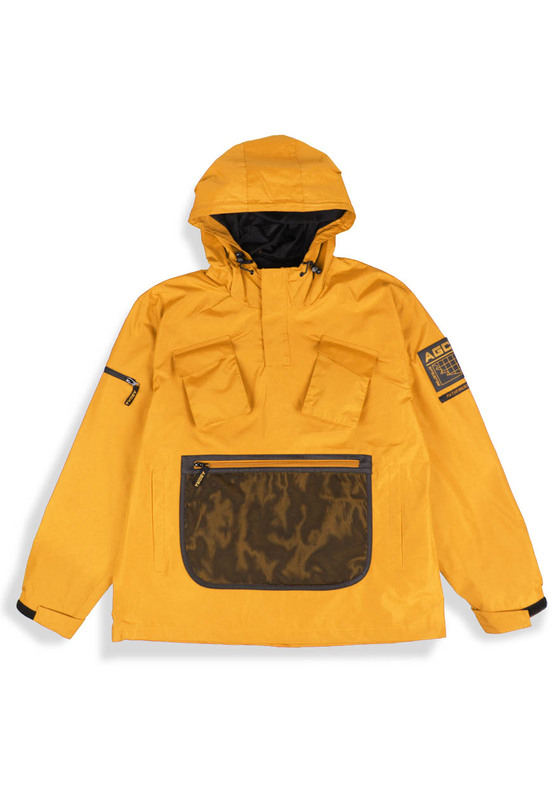 Agora AGC Pathfinder Pullover Jacket in yellow. 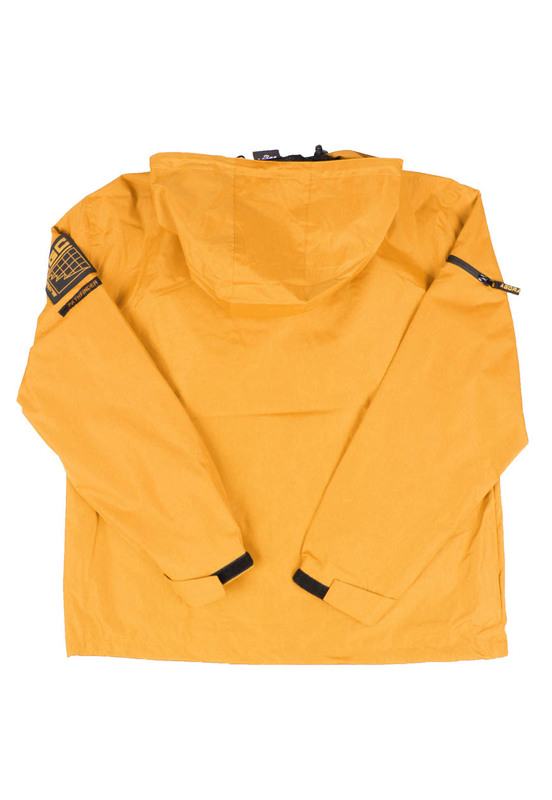 Waterproof tech jacket with 6 pockets including oversized mesh pouch. Rubber style patch on arm. Fits true to size.